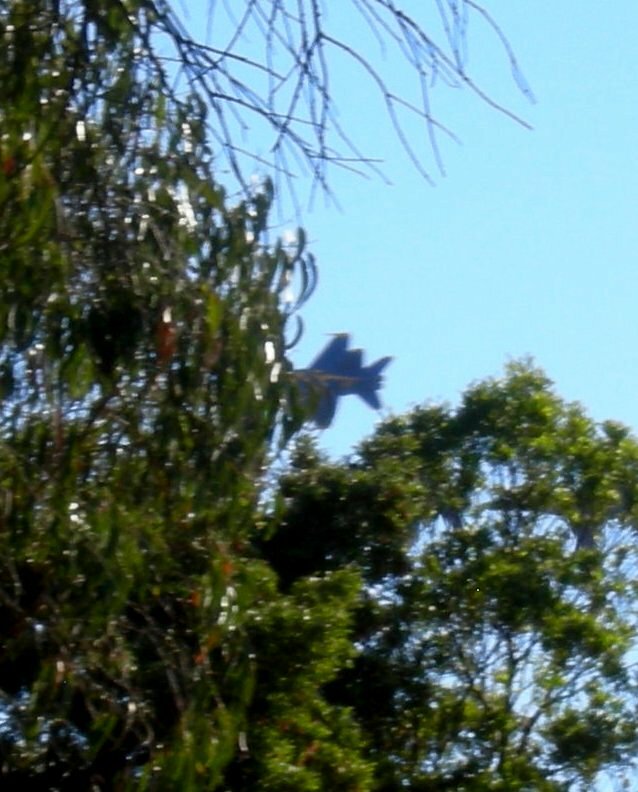 This time last year, they’d appeared through the trees, as huge and unexpected as jet-powered flying dinosaurs. 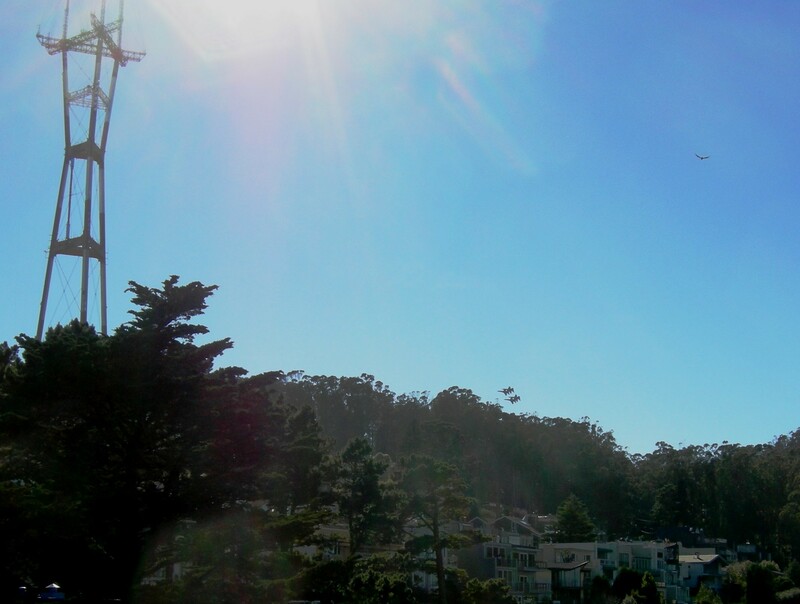 The Blue Angels were tough to photograph as they blasted by, but this was another year and another opportunity. These were the sounds of the forest: breeze-rustled leaves and the screaming of a hawk and the caw of ravens and what sounded like a woodpecker tapping. A few songbirds calling. A persistent emergency-vehicle siren. 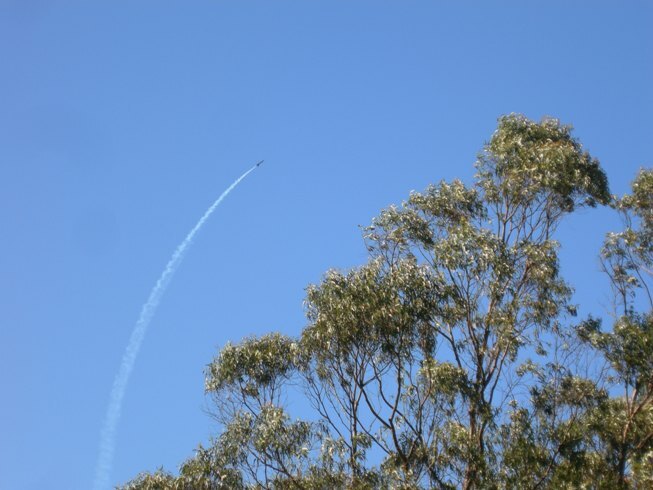 And the thunder of the Blue Angels jets, which underlined how quiet it usually was in the sound-absorbing forest, where sirens are the only outside noise that gets through the trees. Yesterday, Tank Hill offered a different perspective of jets over the forest. 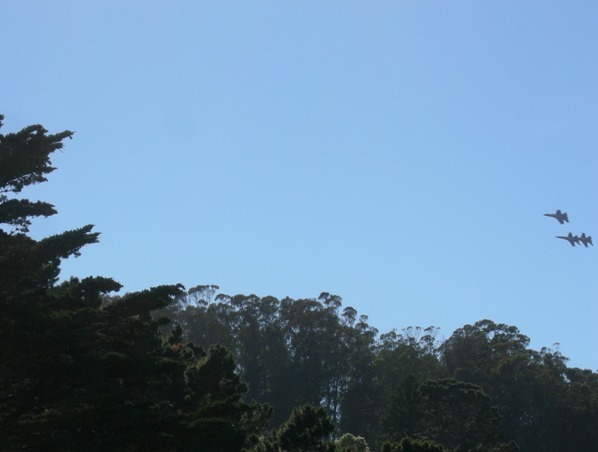 This entry was posted in Environment, eucalyptus, Mt Sutro Cloud Forest and tagged blue angels, mount sutro, Sutro Forest. Bookmark the permalink.